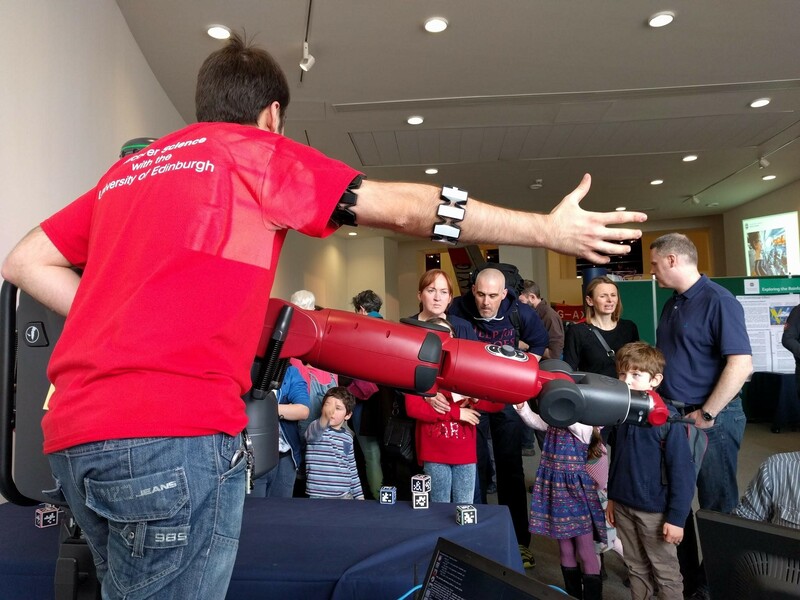 Over the course of five days, 3000-4000 people came through the National Museum of Scotland and saw the Robot Lab. James Garforth, Alejandro Bordallo and Sandy Enoch were present every day, providing supervision and tech support while the 2015 cohort students volunteered for a day each. Raluca Scona, 2014 ECR student, prepared a 3D reconstruction demo. Baxter autonomously stacked coloured blocks with one arm while the other operated via a pair of Myo armbands. It was used as a context for talking about myoelectric control, shared autonomy, safe robots and teleoperation. The younger visitors also had a lot of fun physically moving the Baxter’s arms around. Three Naos alternated between demos. Each choreographed dances, created by Dr Vladimir Ivan from the School of Informatics, and wandered around the room following a ball. 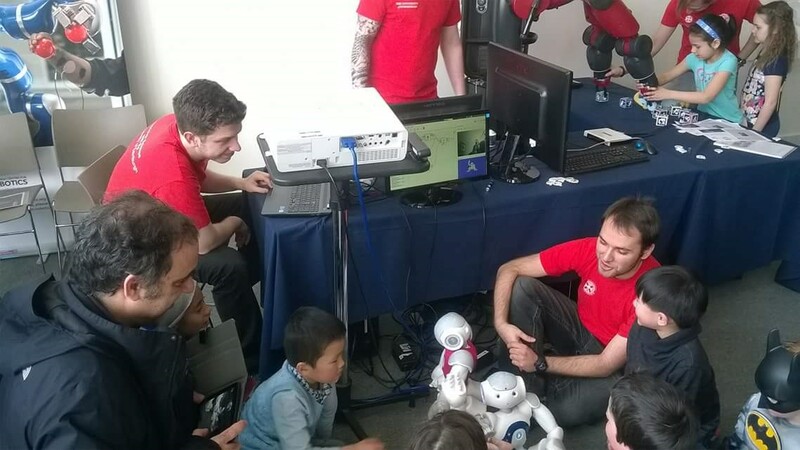 Children interacted with the Naos more than any other robots. Volunteers also talked to the visitors about the robot football the Naos have been involved in and all of the sub-problems this involves solving. Sandy Enoch, affiliated to Edinburgh Centre for Robotics, had with him three 3D printed robot of his own design. 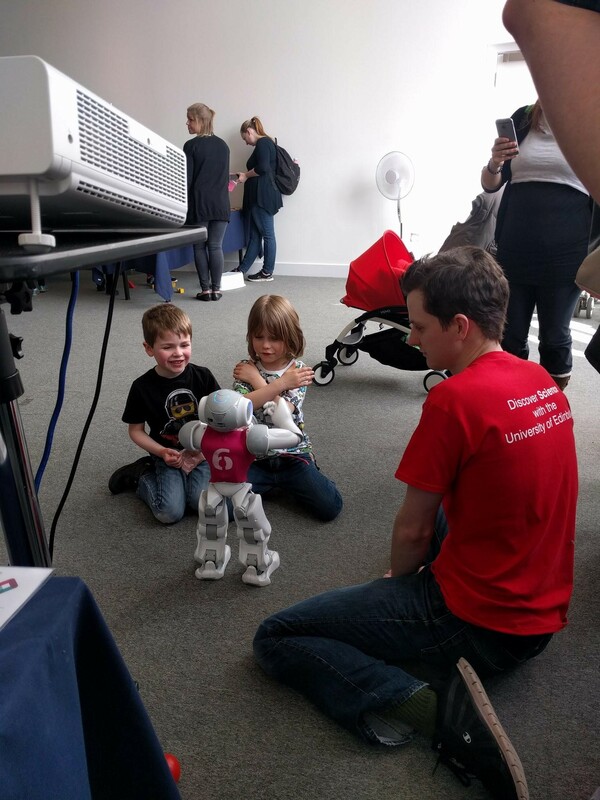 These robots were controllable by visitors using a BBC Micro:bit. They can walk, dance, and kick a ball. Sandy’s 3D printer was also set up on the desk next to him, printing a new robot over the course of the five days. He talked to people about robot manufacture and enthused them about how soon access to this technology will be ubiquitous. A depth camera was set up watching the Baxter demos and resulting 3D models displayed on the projector. Discussions were around the different modalities of robot sensing. When the mapping demo wasn’t running, various robotics videos such as Robocup matches would be projected. These were particularly helpful for providing talking points to adult visitors. These were followed by 40 minutes of questions and answers that would have gone on longer. The audience were very interested and engaged with all of the speakers, who delivered high quality, informative talks in such short time. 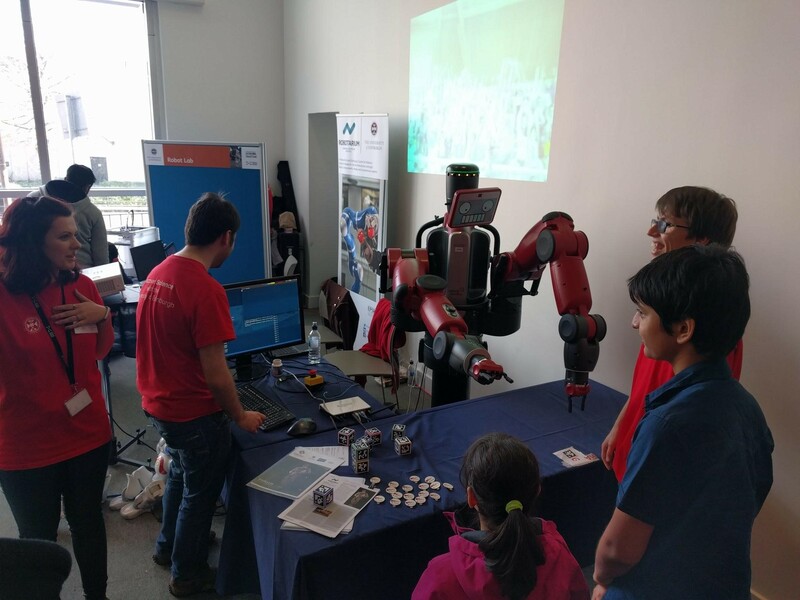 "The Science Festival exhibits have been excellent so far, and your students were doing a great job with the robots." 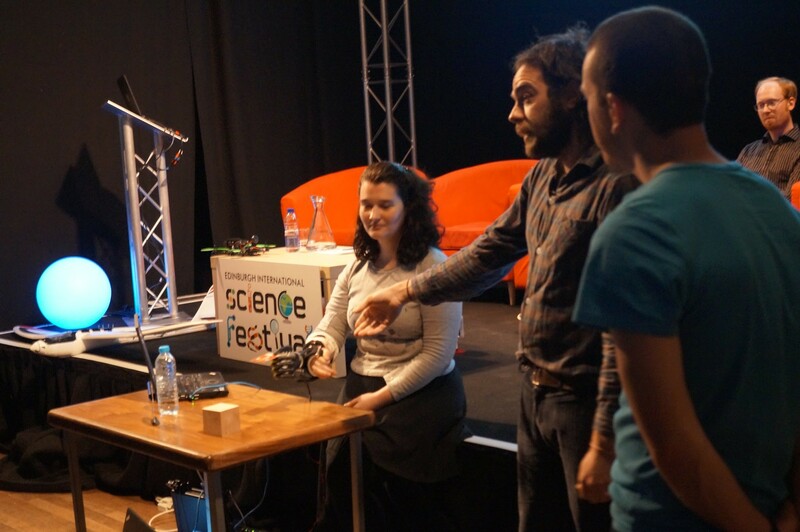 "Working at the science festival was a great experience. 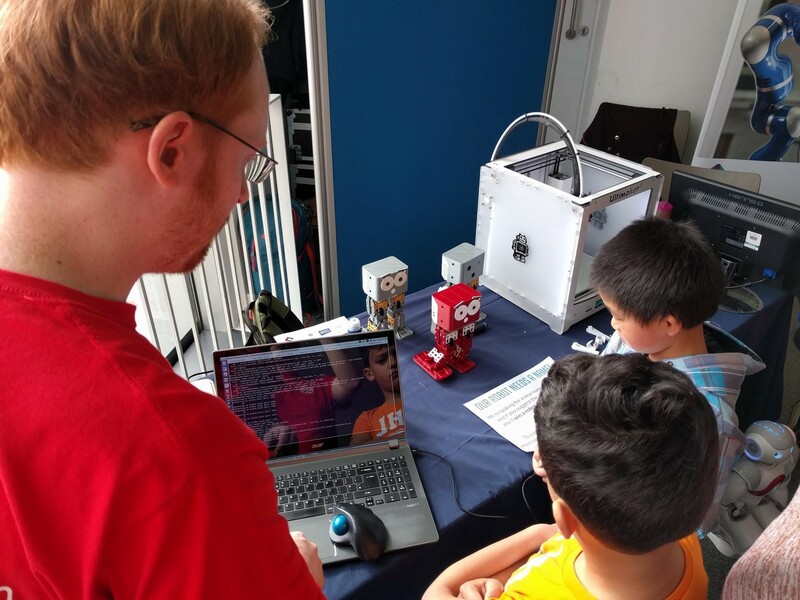 Being able to meet so many kids who are excited about science - and especially robots was really rewarding. I also got to meet many parents who were just as excited as their kids. 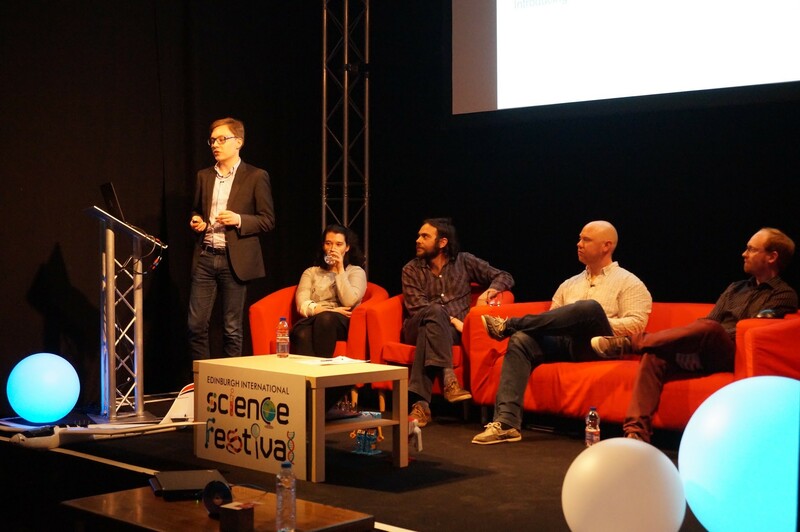 "I've been interested in public engagement with STEM for a long time now and I volunteered to help run a workshop at the 2015 Edinburgh Internationl Science Festival. 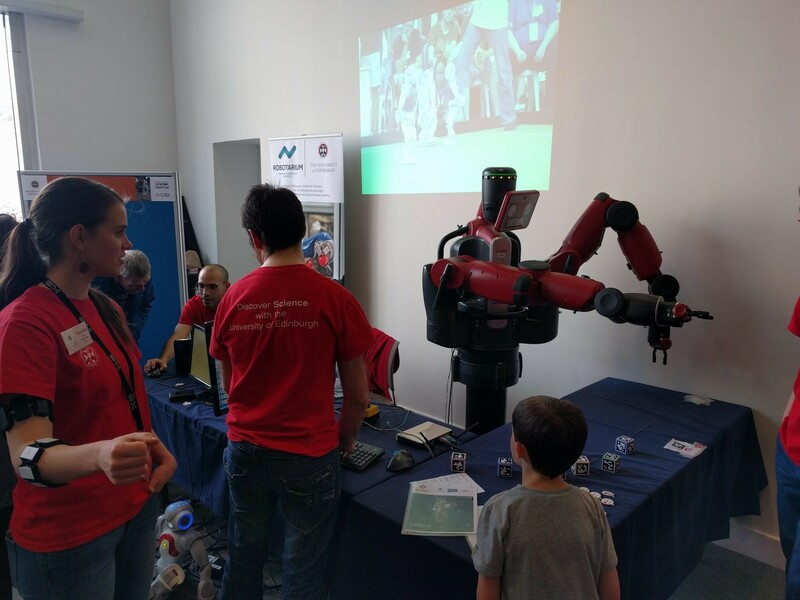 This year I decided I would push myself to do more and so I got in touch with the Science Festival about organising multiple events on behalf of the Edinburgh Centre for Robotics. It took a lot of work, but getting to see thousands of people engaging with, and enthusiastic about, our research area made it all worthwhile!" James already has started thinking about ideas for the next year's event and is very much looking forward to the Edinburgh International Science Festival. 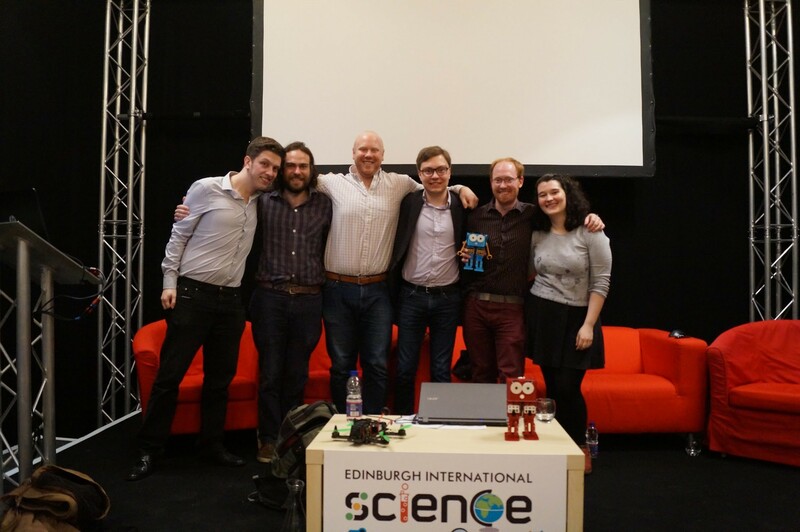 Read more about James' experience organising these events at the Edinburgh Centre for Robotics Student blog.